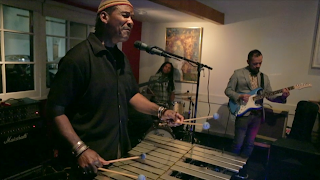 Last Sunday while at Hal's in Venice, I shot a little footage on vibraphonist Onaje Murray. 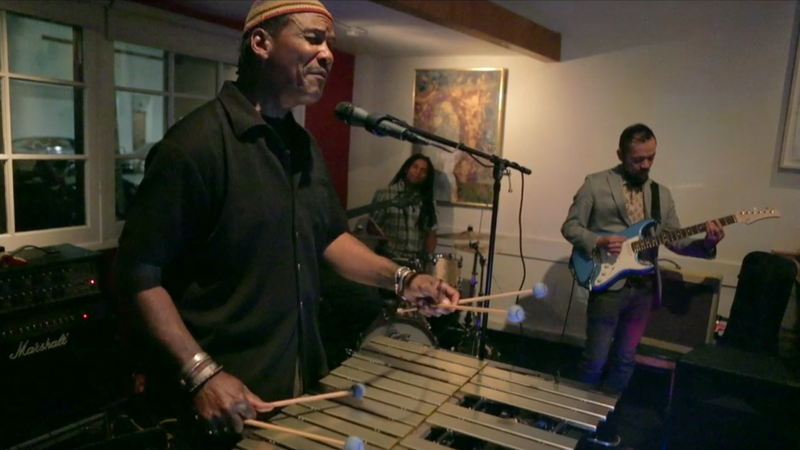 The popular night spot is know for it's live music and food, but not it's stage lighting, because there is not stage lighting, only a few small ceiling lights to illuminate the musicians. This does not make for great photography or video. But there I was with mu trusty Canon 1DX, I decided to experiment and move the ISO up from my usual concert / stage performance ISO of 5000, to a whopping 12,800. All I can say is WOW, but you be the judge, click here, and see for yourself. Also, let me know your thoughts. Bob Kertesz, along with Aaron Peak, are instructors for the Global Cinematography Institute Class - Image Management from Set to Post. 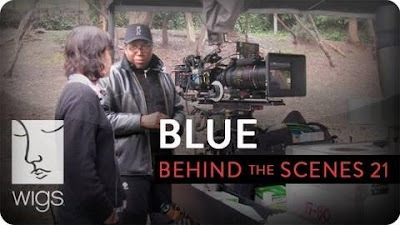 This class examines the link between production and post, and what the role of the DP is in the process. Bob is a veteran DIT and teaches students the importance of color and data mangement on the set. Co-instructor Aaron Peak is a professional colorist who teaches the fundamentals of the DI and post-color process. "3D was virtually nowhere to be seen, replace by the new Golden Child, 4K. The king is dead; long live the king." 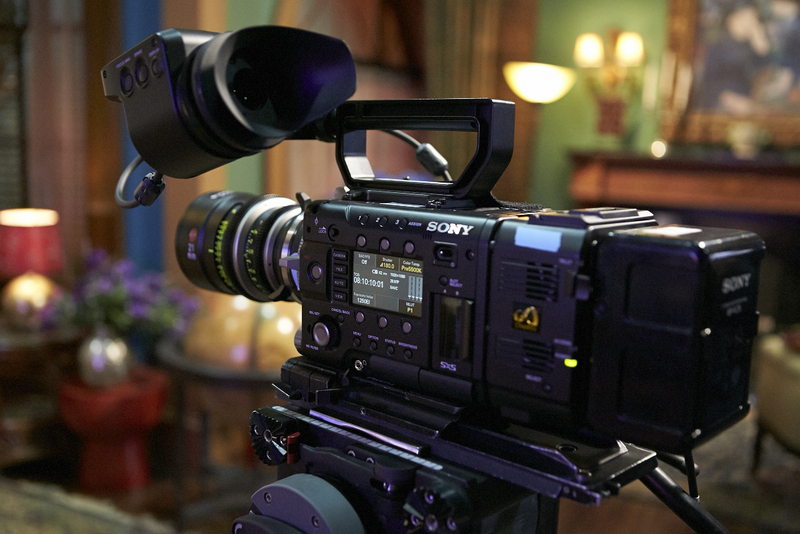 "The DPs who are pushing for 4K cameras on episodic television are perhaps unknowingly relinquishing still more control over their images to someone else down the road in the post process." "I propose the following: the new 4K standard, and the sets sold for home use, should have a 2.40 aspect ratio. 16:9 is sooooo last year." WIGS has just posted a profile of my DIT workflow on the webisode channel WIGS. Please check it out by clicking here or image below. What has happened to the integrity of the craft of filmmaking? There once was an attitude of keeping the level, the quality of the image superior, but lately I've seen the opposite. I've seen DP's make huge mistakes, in their exposure and in their color settings. Either it's ego, or incompetence, but it's a problem that is hurting the very image that they are so desperately trying to produce. It's funny that I see two sides of the equation, one side is that DP's fear that their work will be manipulated in a way they don't approve, and that they become some cog in the production machinery, where their work has no style or substance, or they work as a part of the production, delivering a product that works to the benefit of the production. I see the DP's working to achieve a look to define themselves, but they do so with reckless abandon, STOP getting in your own way, and don't be afraid or stubborn to receive good info from your AC's or DIT. 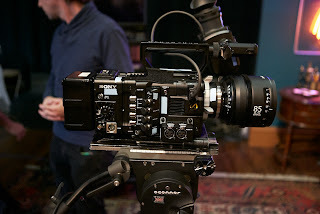 Working in the new digital cinema is different than working in film, and each camera has it's own palette, that a DP should learn and use to his/her benefit. I've shot commercial photography for more than most DP's have been alive, but I understand the balance of delivering a quality product, to deliver a great final product. Shoot it right in camera as much as you can. Not all jobs have a budgets or time to be perfect, but be perfect when you can. Don't rely on some colorist to fix your mistakes. Unlike a still photographer that follows his work from camera to delivery, most DP's leave their work when they leave the set. If they make mistakes, those mistakes are corrected by a colorist in post production. When the DP finally sees his/her work, it looks better, and most often they think they did a great job, no, the colorist did a great job saving your project. There is no free lunch. For every under/over exposure, every incorrect color setting, their is a consequence. You cannot correct without damaging your image quality, period. Most feel they can get by being sloppy, it's very common today, blown highlight, underexposure to the point of no information at all. This is not rocket science, shoot smarter, shoot better, be a contributor to the filmmaking process, and not the loose canon, or ego maniac. I believe it would be in every DP's best interest to go back to school and learn how to shot digital, learn why to shoot a gray card, learn or re-learn the basics, because in the end, it will only serve you well. As a commercial still photographer, I know most cinematographers if given a still assignment, would fail. Why, because they cannot light, and they cannot make a single image beautiful. I'm not saying all, but most. This is a challenge to all DP's, make beautiful images, one frame at a time, don't sabotage your work for fear of a colorist or editor ruining it. Deliver the very best image, the very best color, the very best exposure to insure your projects success. Don't be afraid, or fear will be your enemy. For those of you that just got in the business, learn how to shoot, don't be a hack!! 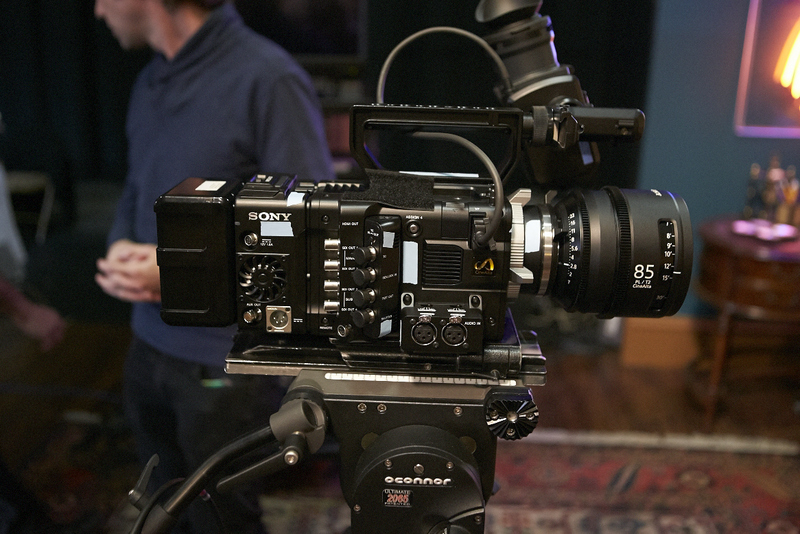 I recently spent a day over at the Sony lot on Stage 7 learning about the New Sony F55 4K camera. I have to say I was very impressed, not only by its looks, form factor, ease of assembly, but also how simple it was to navigate the menu system. 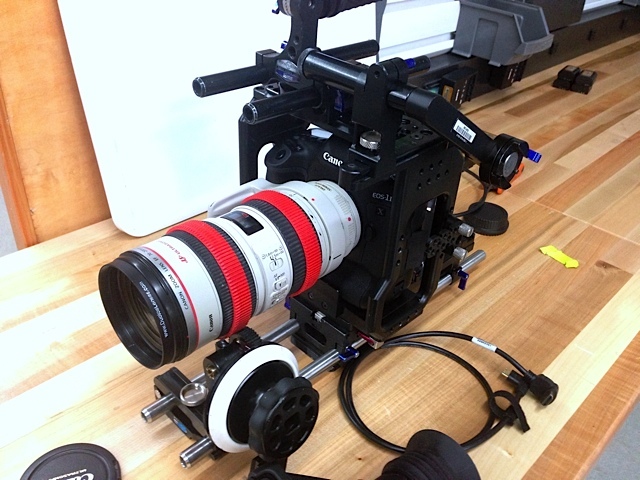 You can literally have this camera ready to shoot in less than a minute. 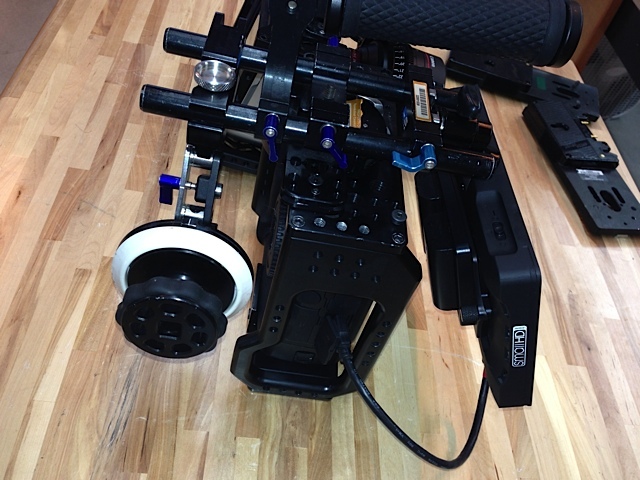 First the body, PL adapter, lens, top handle, EVF, either battery adapter or optional RAW recorder w/battery adapter and then battery, and you're done. It's well made and solid. 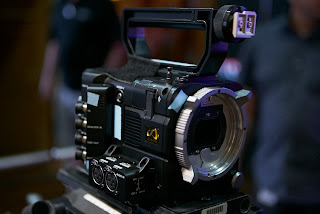 Everything about this camera says pro, they have worked through a lot of the issues that have plagued other digital cinema cameras, and come up with a winner. Here's the plus, the image quality, it's fantastic, and after being a RED fan for years, I would be inclined to shoot my next project on this camera, in 4K of course. Ok, so you have a shoot coming up. You've decided to shot this on your Canon 5DMK2, 5DMK3 or your new Canon 1DX, or your Canon 1C (if you're so lucky), but how do you outfit it with all the necessary accessories (cameras, lenses, cages, monitors, follow focus, etc), and where do you get them? 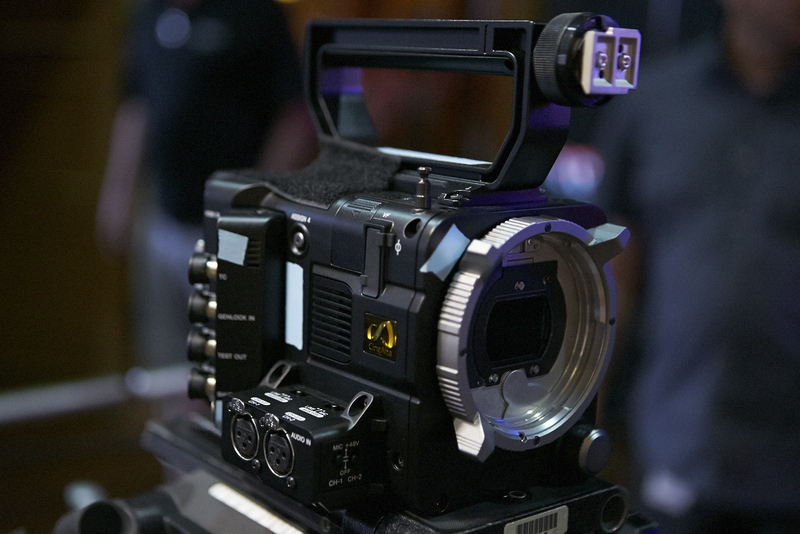 You can go to a typical camera rental house (where you'll have a small selection of options), or you can visit the guys at Revolution Cinema Rentals, the new rental house specializing in DSLR cinematography. RCR has everything for shooting your small cameras in practically any environment. 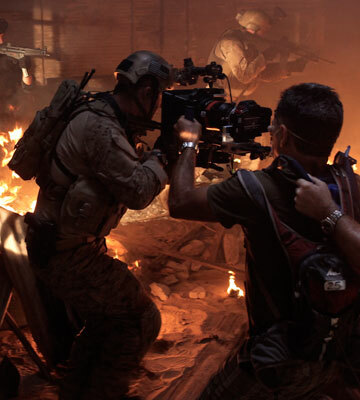 This is the place where Shane Hurlbut shops, (DP of Act of Valor , shoot almost entirely on Canon DSLR's). So you can understand the level of gear these guys have. Scott, Q, Freddy and Amanda can help sort out your DSLR needs. 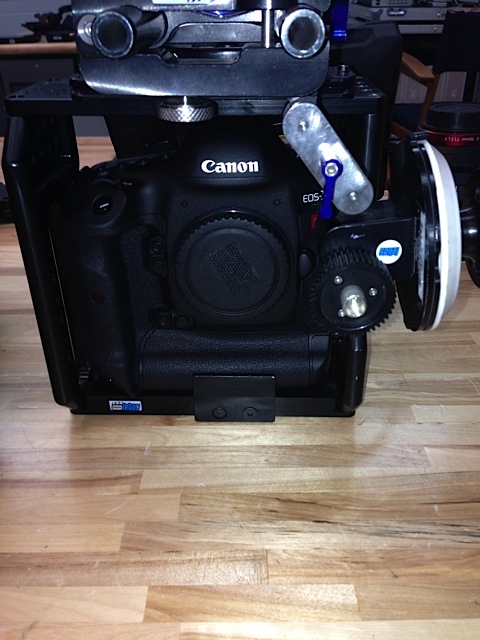 I had the opportunity to have my Canon 5DMK2 and 1DX outfitted for a job the other day. 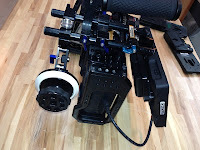 I went through the normal camera prep, Freddy one of the key prep techs (very friendly and patient), carefully went through building the perfect rigs for my project. Asking questions along the way to make sure I had everything I needed for the job. Let me say, this is not your ordinary stills / camera store rental dept, this is a cinema rental house that specializing in the small still cameras that shoot HD video. Now mind you they also have other camera offerings, Canon C300 and 500, and have amazing rigs and accessories for these as well, plus RED Epic, Arri Alexa, and Sony F65. I have to admit but shooting with the DSLR's is becoming more and more mainstream for shooting Web Series, TV, Features and Commercials. Even I, Mr. Shoot it on RED now loves to use my DSLR whenever possible. The level of quality these cameras can now attain, is simply amazing. I'll go into more practical application in next entry.